Of course, I'm 33 years old teacher and live in a rather small village in Germany. It all started very early with one of these small Casio mini keyboards for Christmas. I loved music shows on TV and recorded them on audio cassettes and listened to them over and over again. For me, strong melodies and harmonies have always been very important and I got them mainly from 80's synth pop, melodic rock, and even from all those C64 and Amiga games and demos. I taught myself how to play the guitar (but I'm far from perfect) and keyboards but I've never studied music. like ProTracker on the Amiga 500, then bought a sound sampler to be able to record songs with vocals.It has always been a genre mix between melodic rock, synth pop and Italo Disco. In the Mid-90's I added some Eurodance elements to it, but I've never released anything officially and I guess the old songs wouldn't sound very good compared to today's standards because of all the technical limitations back then. Then I changed to FastTracker and a PC and produced songs such as "I'm your Twin" which some of you may remember. 4. Besides music what other hobbies do you have? I like collecting DVDs and Blu-Ray discs, especially of horror films from the 1960s-1980s. I also enjoy playing games on my XBox 360. 5. Where did you get your inspiration from? Everything (music & lyrics) is pretty much inspired by the 80's - the images in the lyrics and the harmonies and sounds. Besides Italo Disco and Eurodisco, it's mainly 80's music: synth & pop (the first album by Alphaville, Pseudo Echo, Kim Wilde (81-85)), and then of course Melodic (Hard) Rock / AOR (mainly by Scandinavian bands such as Treat, Dalton, Fate, Europe, Evenrude), but also 80's Alice Cooper (songs like "He's Back", "Poison" or "Bed of Nails") and believe it or not, I'm also a big KISS fan). 7. What made you change your style from Rock music to Italo Disco? I have never changed my change my style completely. I always wrote rock songs, and I've also composed tracks in Synth Pop or Italo Disco style. Maybe it's quite funny for you to know that some of the songs on the album were actually rock songs, for example "Love Hurts", "Midnight Rendezvous" or "Calling your number", which was originally called "Talking to Farrah". I don't like to think in genres, I believe in strong melodies with catchy hooks and beautiful harmonies - no matter what genre you're into. 8. The modern music studio has moved from hardware to software. What are your thoughts about that change ? I'm quite happy about that, because nowadays you can have the good old 80's synth sound for a price that many people can afford. In the early 90's, I dreamed of buying a Polysix or DX7 plus several drum machines, but hadn't got enough money or didn't find a fully functional machine. Now, it's a lot easier to create vintage sounding songs, although the software synths sometimes lack a bit of the analog warmth the hardware ones used to have. 9. + 10. Can you try to explain how you compose a song? What comes first - melodies or rhythm and why? When I write songs, It's always music before lyrics and it's different all the time. Most of the time, I start programming a drum beat and then add a synth to it, no bass at the beginning. Then, I play something that could be an intro or the chorus. When I've got a good melody, I add the bass line and write possible lyrics for that part. Later I compose the verse and a bridge. 11. What has been your biggest musical challenge so far? It's always the same: When I produce demo songs, I normally record an intro, one verse, the bridge and the chorus. Then, when I like the song idea, it's the hardest thing for me to come up with lyrics for the second verse. Don't ask me why - but it's always the same. The lyrics of the second verse are the ones which take the most time. 12. Is there anything that you dislike about this genre? Maybe the high prices for the rare stuff. But joking apart, when Italo turned into Eurobeat in the late 80's, I felt it started to lose something special and its variety, because a lot of songs sounded very similar from that on. 13. Are there any group or artist(s) that have influenced you? from bands such as Alphaville (their first album), Pseudo Echo, but also Kim Wilde (Select) and many Scandinavian Melodic Rock/AOR acts like Treat, Europe, Dalton, Fate and Evenrude when it comes to catchy chorusses and hooks. Italo Disco and Melodic Rock do have more in common than many people think - just think of "Love Chaser" which is a cover version of the song by Europe. 14. I guess this question follows on from the next but do you have a favorite artist and why? It's difficult to choose only one favourite artist, because there are so many great songs out there, but I would say my favourite Italo Disco artists are Radiorama (the early years because of Mauro Farina's voice) and I always liked the voice of Giancarlo Pasquini very much. 15. Do you have a favorite Italo Disco album and why? Unfortunately, there aren't many "real" Italo Disco albums, because I think Italo was mainly a 12" single release genre. Except all those "Best of"-compilations (which aren't actual albums for me) I think my favourite one must be "DESIRES AND VAMPIRES" by Radiorama. When you want to explain to somebody what Italo Disco is, just show him tracks like "Desire", "Chance to Desire" or "Aliens" and he will instantly understand it. The songs are so powerful and passionate and also have a touch of AOR / Melodic Rock in them. 16. What sort of gear do you use? It's mainly software, running on a Windows machine. I use lots of the Korg VST Legacy stuff, but also free plugins such as the MinimogueVA or TAL-U-NO. Sometimes I add real guitars to the songs. Actually, the vocals for "Fire" were recorded with one of those $5 microphones you plug directly into the soundcard because it was just a demo and never meant to be released. I later tried to re-record the vocals but never got that special sound the original version had, so we always used the original vocals in all new version. 17.Would you be interested in working with other artists. If yes who would that be? 18. Can you tell us a little bit more about your album ''Obsession''? How many songs will be on the album who was involved in the production and how long take you to produce the whole material for the album? There will be 14 songs plus one remix on the CD "Obsession", so you'll get 15 tracks in total with a total running time of about 80 Minutes. It includes all songs that have been released as 12" vinyls (Fire, Love Hurts, Best of Friends), so you can preserve your vinyls by playing the CD versions without the vinyl limitations like pops and crackles. 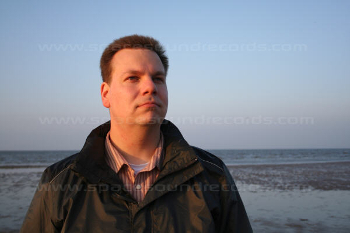 As you may know, Fire was originally written in 2006, but the sound quality was rather poor, so Tomasz Gillert produced a complete new arrangement for the 2010 vinyl release by Iventi. At that point of time I didn't know there would be an album, but Space Sound Records asked for some other song material and I sent them the demos for "All the Night" & "Sweet Surrender", which were produced in September 2009. From that on, songwriting for the album started and most of the tracks were recorded from February 2010 to November 2010. Some of the readers of this interview may wonder why the track "Agent of Love", which was included in the first version of the "Revelation Mix" isn't on the album. We had chosen to take it off the tracklist because of a big surprise that is planned for all Italo and Euro Disco fans. We're not sure if everything will turn out the way we hope, but I'm sure the result will please the fans of that song. That's why I had to write some new material and the original release date had to be postponed a bit. Sometimes it took weeks to finish a track due to my regular job, but in case of some songs on the album it just took some hours. "Tell me" was one of those "fast" songs. Every time I finish a song, Tomasz Gillert (who also produced the new version of "Fire" that was on the 12" and the Italo Euro Disco CD compilation) checks my arrangement and improves or corrects some of the effects and adds the final touches to it. I don't know very much about mastering songs for CDs, but Tomasz works together with Damian Lipinsky (from vinylmagic.pl), who is responsible for the mastering the tracks) very closely and he fixes everything that I did wrong. 19. What is your favorite track that you've composed for the album? That's a very tough question. If I had to pick a favourite song I guess it would be a tie between Obsession, Sweet Surrender and Calling your Number. But actually, I like all those songs very much. 20. Are there any future plans, perhaps second album? If the fans support me and the label by buying the CD, there will definitely be a second album. Today much depends on good CD sales, but if I get the chance to go for a new album, I'll definitely take it! There is also talk about a live appearance at an Italo Disco party. This would be my first live appearance with my Italo Disco songs ever, so I hope to see many Italo and Euro Disco fans you soon. Unfortunately, I won't be able to do many live appearances due to my job where I can't take a day off any time I want to, but as soon as there are any live dates, I'll put them on my website www.mirkohirsch.com . 21. Any thoughts on how we could improve the genre (musically and gaining more mass appeal)? Let me first say that the whole music industry (doesn't matter which genre) is having trouble getting good sales. Today, you have to win a casting show or appear on TV to sell lots of records. The big major labels don't invest any money in young talents anymore. They mainly buy finished products and want to earn as much as they can and drop you as soon as you don't bring them the money they want you to bring. In my opinion, the Italo scene is stronger than ten years ago. We've fortunately got labels now, who keep the Italo sound of the 80's alive (Space Sound Records, Iventi, Flashback and some smaller ones) and invest money in the production of less known artists. That's a great thing and should be appreciated by all fans of Italo and Eurodisco. Thanks to the Internet, new releases can be heard and bought by fans from all over the world. Of course, the Internet also has its negative sides such as something I would call a "song overkill". Today, you can easily download more than 300 Italo songs a day, if you wanted to. With these big numbers, you won't listen to every song with the same intensity as if you had bought it on vinyl or CD. Actually, I don't watch much TV. I prefer watching movies. My favourite movies of all times are the original Star Wars trilogy and I also like all of those slasher & giallo movies (especially the ones by Dario Argento) from the 70's & 80's. 24. What should your fans do if they would like to contact you to give some feedback ? I'm very open to feedback - everyone can write an e-mail (info@mirkohirsch.com) or leave a message at my Facebook account. 25. Before we end this interview we wonder if there is something that you like to say to your fans? I would like to thank all fans of Italo and Euro Disco for their warm welcome into the "scene". The last months have been very exciting for me and I received lots of mails and messages from all over the world asking for new songs. That's a fantastic thing because I never thought so many other people would enjoy the songs I had originally written just for myself. So - thank you very much and keep the Italo FIRE burning! Once again thank you for using your time in answering these questions, it is very much appreciated! We hope this gives the Italo Disco community a little better insight into you as an artist.